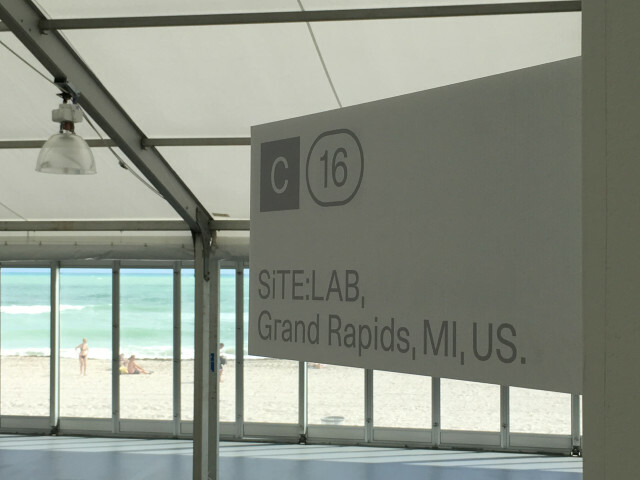 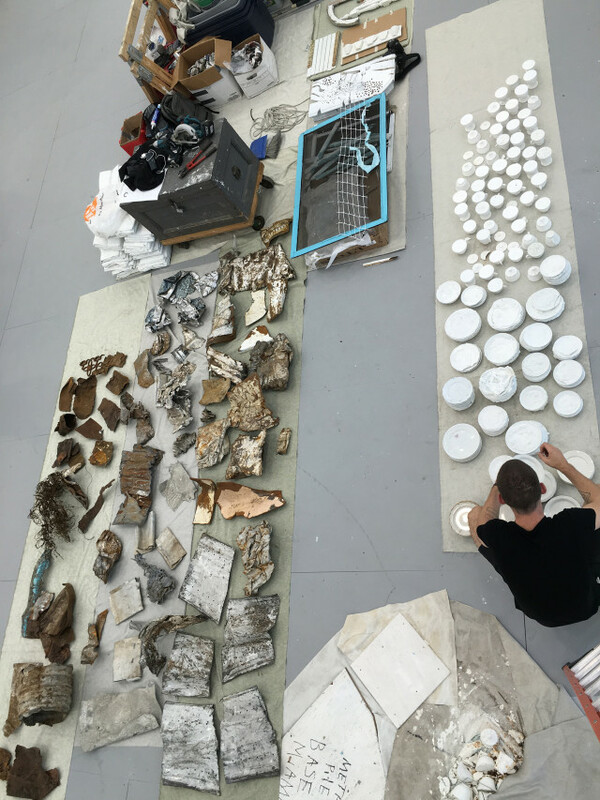 In late November of 2015, two of our students were granted the opportunity to travel with Grand Rapids-based non-profit, SiTE:LAB, to the UNTITLED. Art Fair in Miami. 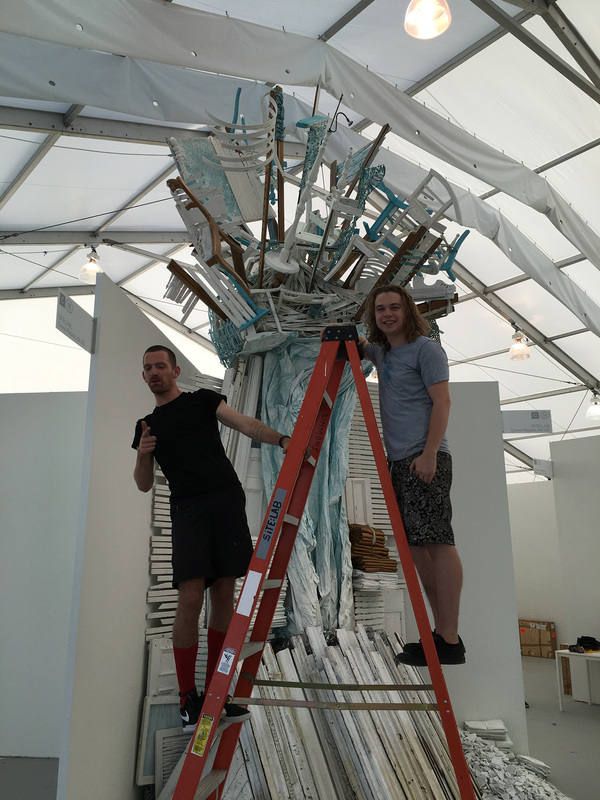 While there, these two rockstar students assisted with the installation of artist Julie Schenkelberg’s massive piece, Lemurian Shift. UNTITLED. 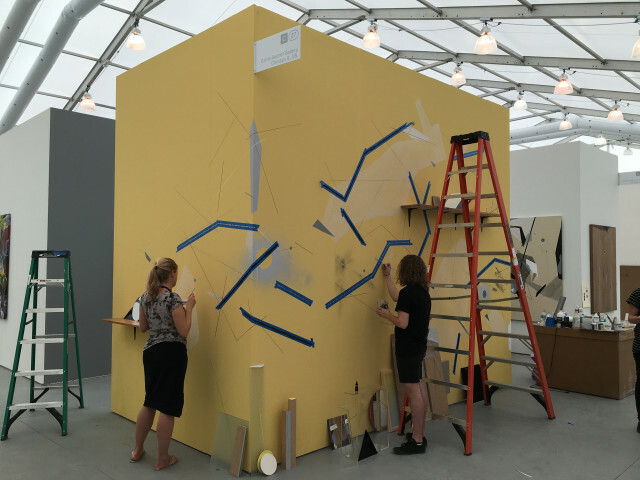 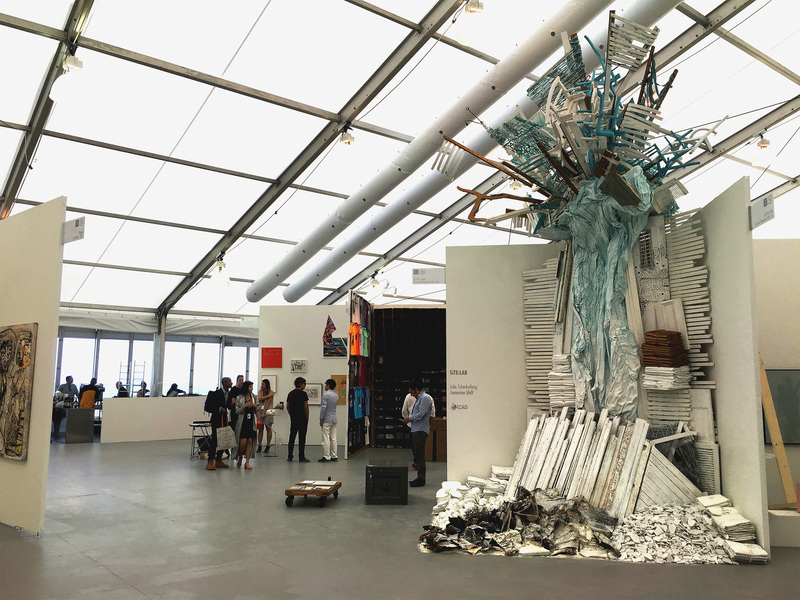 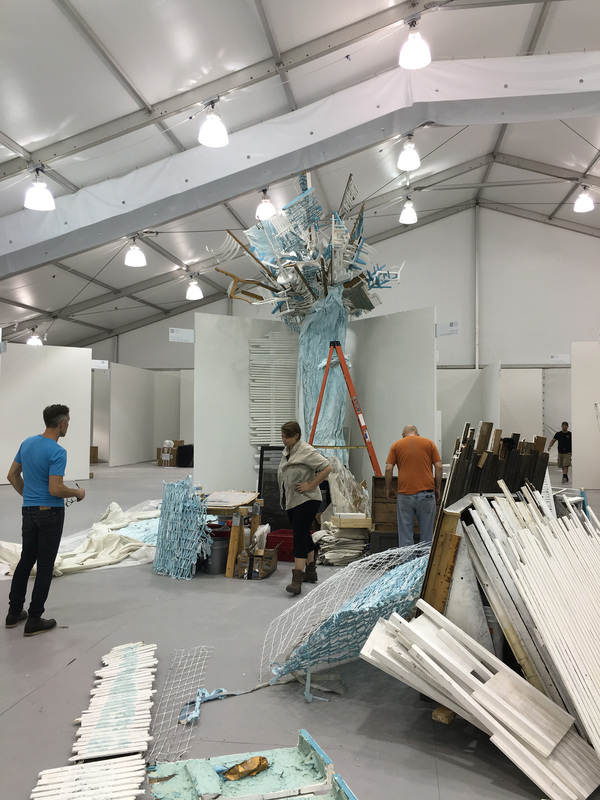 is North America’s largest contemporary art fair, and runs congruently with the infamous Art Basel. 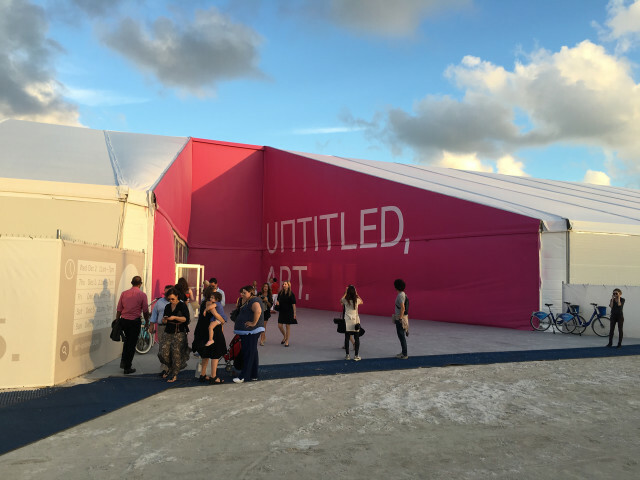 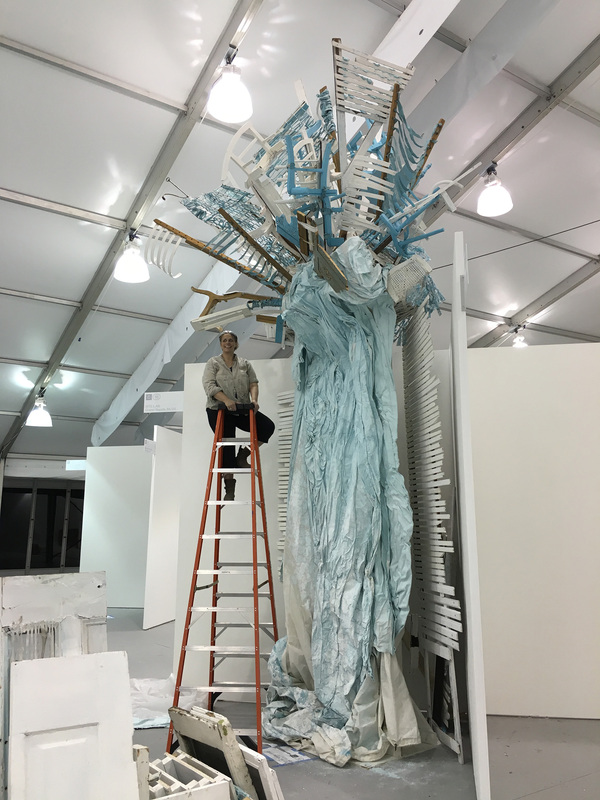 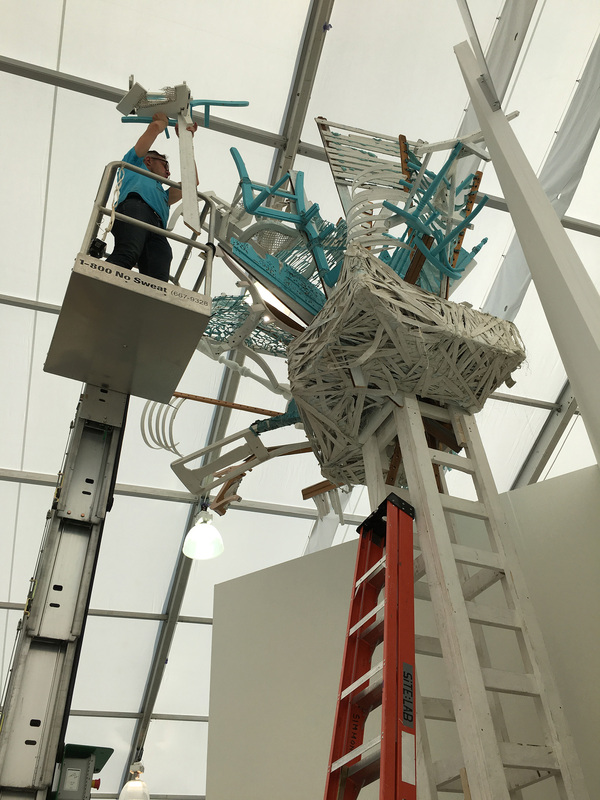 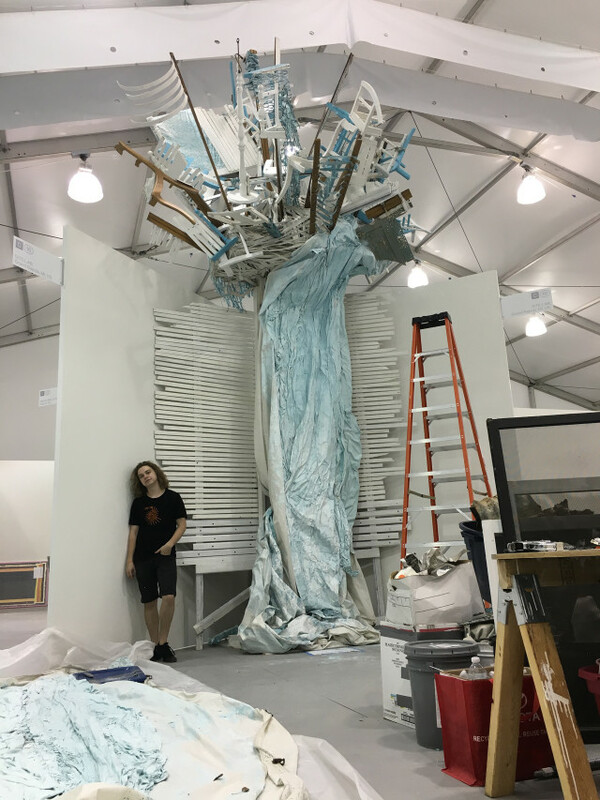 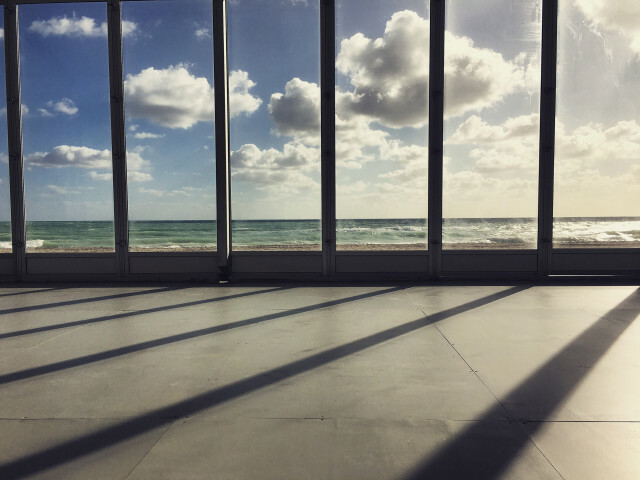 During this time, which is now referred to as ‘Miami Art Week,’ the creative world and all of it’s entities show up to buy, sell, critique and represent various aspects of art & design. 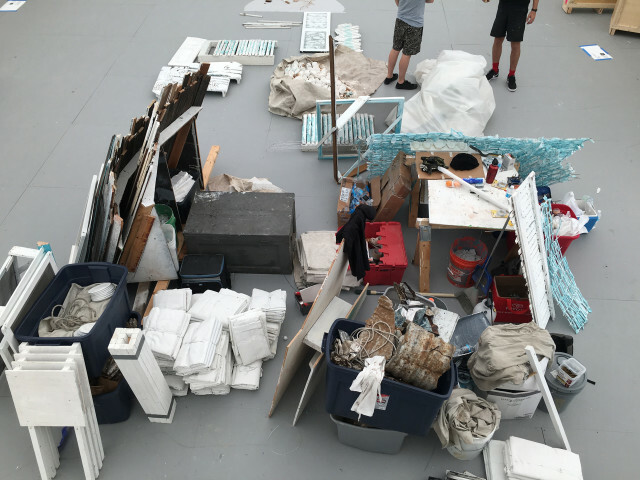 Eric and Ian both regularly volunteer with SiTE:LAB, but this experience was truly one of a kind – from planning and preparing in Grand Rapids, to transporting the artwork over a 22 hour road trip, to eventually contributing to the installation on South Beach – this was an opportunity similar to none for undergraduate students. 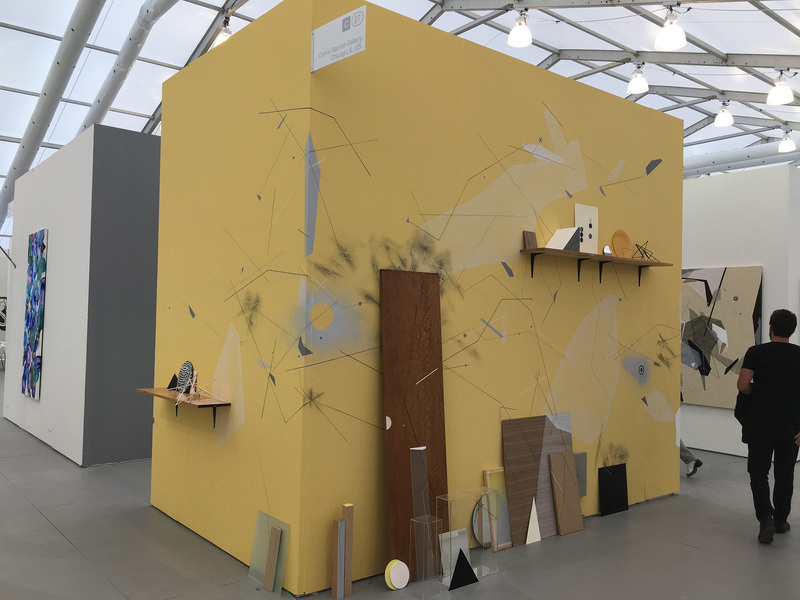 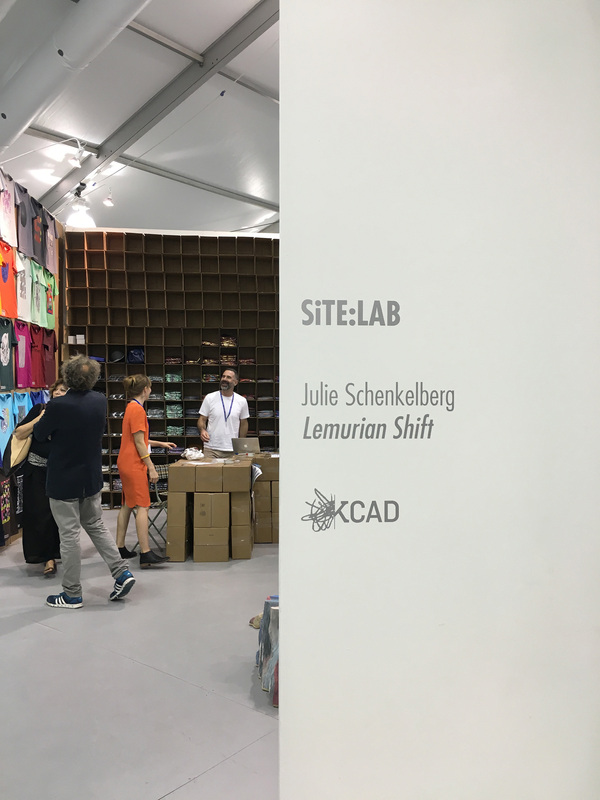 The two Collaborative Design students were also connected with other artists, galleries, and curators at the fair. After Julie was no longer in need of extra assistance (for the most part), SiTE:LAB founder Paul Amenta introduced Eric and Ian to the Chicago-based Carrie Secrist Gallery where they were able to assist with another installation, ultimately gaining both professional connections in the art world and learning valuable skills to further their creative potential.